This fall, GIO hosted 3 urban forestry workshops and created a toolkit on the topic of urban forest policy and municipal asset management. The goal of this work is to help urban forest managers leverage new policy from the provincial government that will require municipalities to develop asset management plans. Integrating urban forests into asset management plans will help decision-makers understand the value trees provide, while allowing urban forest managers to fully account for the costs necessary to maintain them. At the workshops, experts from York Region, the Town of Richmond Hill and the Town of Oakville presented their recent experiences with urban forest (and natural area) asset management. Toronto and Region Conservation Authority (TRCA) and the Town of Richmond Hill also presented on urban ecosystem services and municipal asset management, respectively. Presentations from the workshops can be found here. GIO’s urban forestry toolkit includes a bulletin on communicating the benefits of the urban forest in a municipal context, and a primer on urban forest asset management. The first piece of the toolkit can help build the case for the value that urban forests provide as a municipal asset – with the goal of integrating urban forest management into municipal asset management plans. 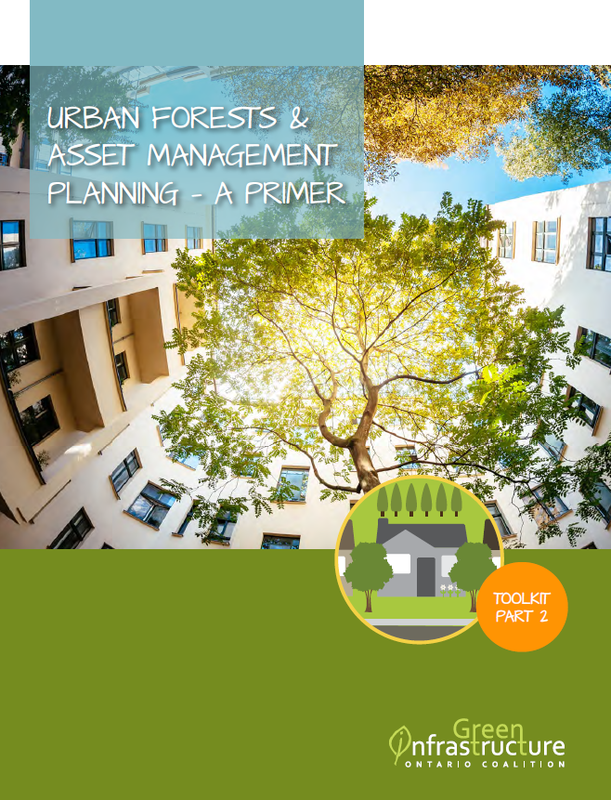 The second piece helps urban forest managers understand how urban forest assets fit into the municipal asset management planning process. The urban forest asset management toolkit can be found here. With guidance from municipal partners, GIO is preparing a policy brief to identify critical policy gaps surrounding Ontario’s urban forests. The policy brief includes actionable direction the province can take to help support municipalities with urban forest management. Urban forests are essential to healthy, resilient communities and their threats and benefits expand beyond municipal boundaries. Look for the release of our policy brief in the coming weeks.